Call 519-472-1541 x 232 or email Intake@huttonhouse.com to register! Hutton House has many employment programs. Once enrolled, Employment Services staff will help you to determine which program best matches your needs. Hutton House provides a unique range of services to support people with disabilities. A place to learn and get excited about the future! For more information visit www.huttonhouse.com. Career Exploration - A variety of methods and tools are available to assist you to discover your strengths and employment goals. 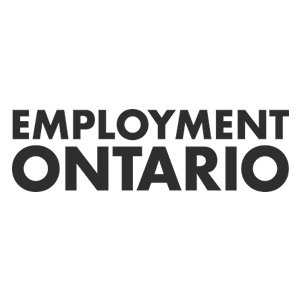 Work Action Plan - A Case Manager works with you to create a step by step plan that recognizes your interests, strengths and supports that you may require to work toward your employment goal. Computer Training - Hutton House Learning Centre offers a fully accessible computer lab with many adaptive devices and programs. Job Search - A Case Manager will assist you to find job opportunities in a variety of ways such as on-line resources, networking, cold calls and job development. Job Coaching & Job Retention - Job Coaches are available to meet with you at work to help you learn your job. They will assist you off site to resolve any work related challenges. Workshops - Employment workshops help to prepare and build confidence while looking for work. There is no fee.